(Formely La Bella Napoli) Minchia's Cibo Italiano specializes in beautifully crafted individual wood fired pizzas and authentic Italian dishes from traditions that are well over 200 years old. We use the most flavorful tomatoes, cheeses and other ingredients imported from Italy. We are Las Vegas' little Italian secret. Where the "The Art of flavour saviours your appetite". Come visit us today. Join us on our outdoor patio. 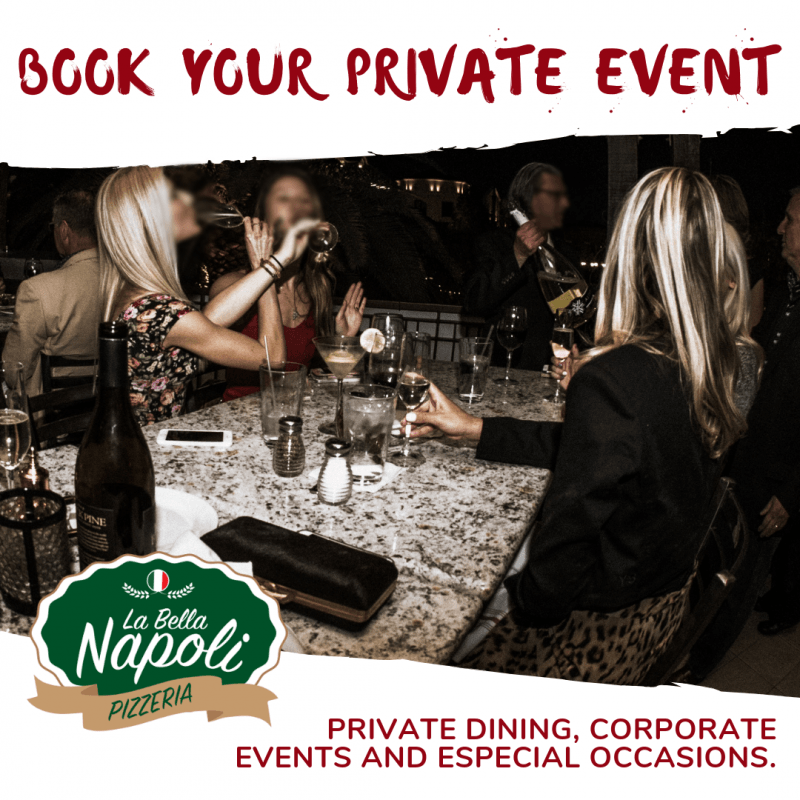 In addition to our unique dining experience, La Bella is a great place to host your private or corporate event! Our beautiful indoor and outdoor private spaces and our experienced staff will work with you to create a memorable experience… not to mention the delicious food! Looking for a great birthday party, company event, or wedding dinner venue? Choose La Bella Napoli! Town Square | 6599 S. Las Vegas Blvd. Suite 210 - Las Vegas, NV | (702) 202-6688.